If you like sipping your morning coffee and gazing at the beautiful valley below, then 23 Millridge Dr might be the place for you and your loved ones. This 13 year old move-in ready home has a sun-filled kitchen and 2 story great room with floor to ceiling windows, making the need for artificial light during the day unnecessary. The upgraded kitchen has granite counters and a large island, gas cooking, plenty of cabinets and an ample pantry. When entertaining with friends and family, the large dining room is laid out next to the kitchen and butler pantry, making it easy for you to prepare your feast and stay involved with your guests. Right off the kitchen, you can slide open the doors to the large deck and enjoy the fully fenced yard. When the weather warms and plants are growing, the fence is covered in ivy and the yard is surrounded by lush trees, creating a peaceful retreat far from traffic and street noise. On colder nights, sit cozily by the gas fireplace in the great room. The 2nd floor of this home features four spacious well-lit bedrooms and 2 full baths with an expansive upstairs hall which overlooks the foyer and great room. The double sinked master bath has just had the shower upgraded. 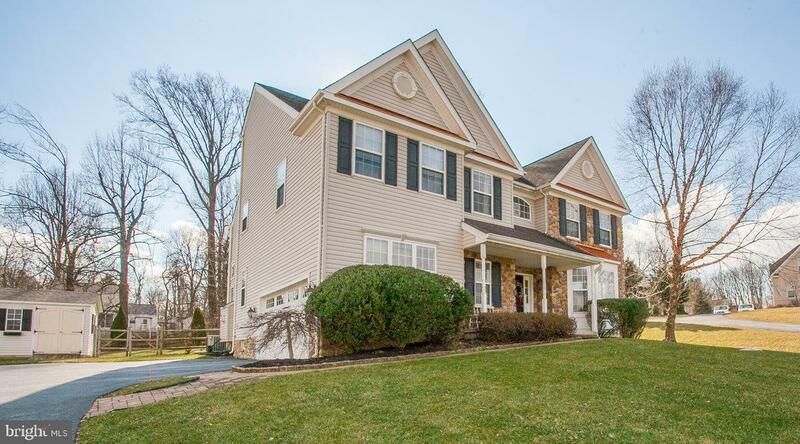 23 Millridge is close to medical facilities, highways and approximately 30 minutes from the PHL Airport. Other attractions nearby include Linvilla Orchards, Booths Corner Farmers market, Everybody~s Home town Media, the new YMCA at Rocky Run, as well as Ridley Creek state park. Please make an appointment using your agent today!